Dear Praying Friends of CAPRO SA, “Please pray for us, too, that God may open a door for our message so that we may proclaim the mystery of Christ.”Colossians 4:3. 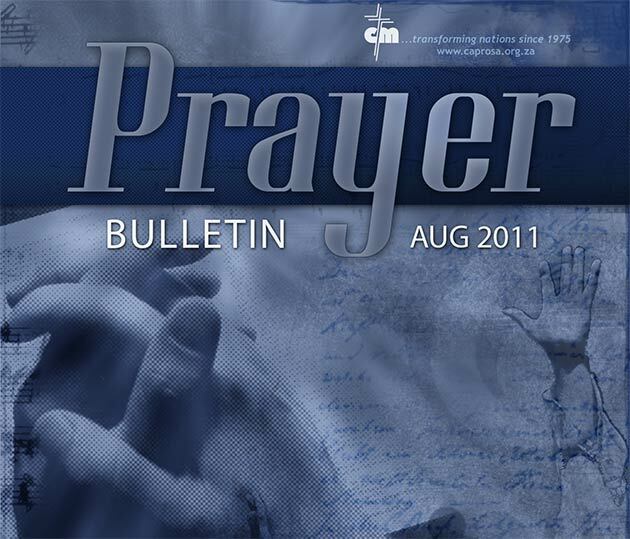 We want to thank you for using this daily prayer sheet to pray for CAPRO. All we do depend upon faithful prayers like yours to produce the fruits God desires as we labour to equip the Church to take the gospel to the remaining unreached peoples. The few minutes you invest daily in lifting these subjects to heaven is making an eternity of a difference in the lives of so many. So be encouraged as you keep praying.